The Novomedia Assosiation’s biggest project to date is International Novomedia Forum in Kyiv. This is a platform for professionals in the sphere of mass media to communicate with each other, as well as a platform for developing a large media sector, specializing in pro-Christian and social topics. The Forum opens for three days to welcome representatives of religious and secular mass media from around the globe. Here, specialists in television, radio, printed media, web-projects and new media come together to discuss their most recent accomplishments. In 2011, over 350 people from 10 countries attended the Forum. In 2012, over 40 experts in all types of media presented 50 reports, which had to be accommodated in 3 parallel streams. 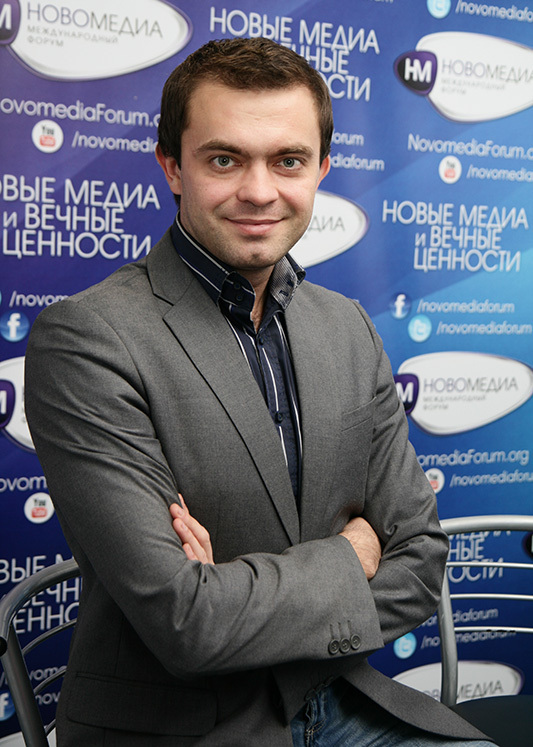 International Forum “Novomedia” is a key professional platform in the post-Soviet space, where representatives of both religious and secular media can meet. We are united by one common theme – new media and timeless values. However, we do not debate whether it is possible to integrate the two; apparently, it is. What we do discuss is how to achieve that in a logical and organic manner. This is why we invite both secular and religious journalists, so that we hear recommendations from both sides on how to integrate eternal values with mass media. If mass media is to strive for the status of objective and trustworthy, it cannot ignore the religious needs of its audience. Therefore, we argue that covering the issues of personal faith and Christianity as a whole should become natural for both secular and religious media, as natural as covering political, economic or social issues. 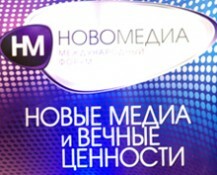 Forum Tagline: “New Media and Timeless Values”.